For small food producers to survive some decide to go really upmarket and this appears to be a good example of that. 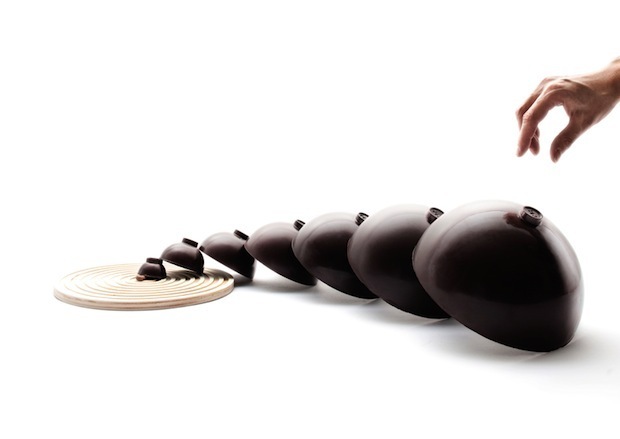 This Spanish chocolatier Chocolat Factory commissed a French design firm to come up with a number of ideas – two of which you can see above. 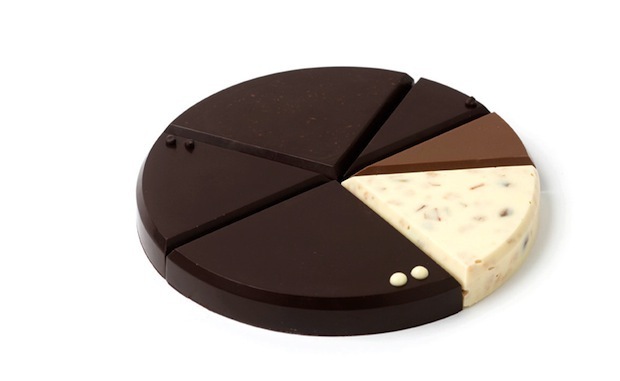 A series of chocolate domes leading to a cocoa bean and a pie chart in chocolate! The collaboration was featured by FastCompany in the US.